When it comes to visualizing your professional career and development in the future, it helps to picture your goals within the next 10 years; the idea is to think about your earning potential and how it conforms to your financial horizon. Are you earning enough to support yourself and your loved ones? Do you see your current job as being in demand? These are the two basic questions you should seek realistic answers to, and they are intrinsically related to your educational achievement. With an associate of arts degree, these questions become easier to answer. 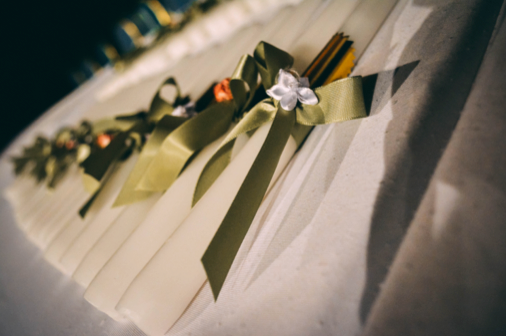 The truth about associate of arts (A.A.) degrees is that they can open many doors for those who choose to make college a part of their lives. If you are looking for a bottom line, look no further than the employment projections compiled by the United States Bureau of Labor Statistics: in 2017, the unemployment rate for Americans who earned their A.A. degrees was 3.4 percent, lower than the national average. As for wages and salary, A.A. recipients earned about $200 more per week compared to those who with just high school diplomas. In some cases, you can earn more than $55,000 per year with these degrees. Since A.A. degrees denote a certain level of college education that many employers are constantly looking for, your options are numerous. The professional fields where A.A. graduates can find better employment opportunities range from government to marketing and from healthcare to education. At a time when companies and organizations in South Florida and across the U.S. are looking to improve their competitive edge, one of the best ways for job applicants to stand out is with A.A. degrees. Whether you are fresh out of high school or already in the workforce, an A.A. can help enhance your skills and expand your knowledge. Some of the A.A. programs offered by FNU are designed to be completed fully online, which makes them ideal for working adults. Even though A.A. degrees are granted on an undergraduate basis, you will be expected to satisfactorily complete 60 credit hours. Your curriculum will consist of general education and core requirements plus electives; the former will cover English, humanities, math, social sciences, and communications while the latter will consist of courses that are more specific to your desired concentration. Criminal justice happens to be a popular FNU program. To learn more about your career possibilities in this and other fields, contact one of our counselors today. It should be noted that the school you choose is paramount in terms of boosting your chances of getting hired on the basis of your A.A. strength. 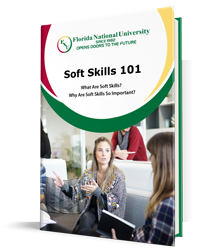 Employers generally look for degrees completed at accredited colleges such as FNU, which is licensed by Florida’s Commission for Independent Education and accredited to grant associate degrees by the Southern Association of Colleges. You may have heard about associate of science degrees, which are also offered by FNU, and may be wondering how they differ from A.A. programs. In essence, A.S. degrees are designed in a way to make them more specific to scientific fields such as medical laboratory specialist, information technology and radiology. The credit hour requirements may be higher, and the process of transferring to a four-year college to get a bachelor’s degree may be narrower. To a certain extent, A.A. programs can be more flexible since you can start with criminal justice, for example, and transfer to legal studies bachelor’s degree program. Your professional development does not have to be limited to A.A. programs. FNU offers both graduate and undergraduate degrees as well as career diplomas and technical certificates. In addition to being an accredited institution of higher learning, FNU is also a military-friendly school dedicated to helping veterans as well as members of the Armed Forces who may be on active or reserve duty. Financial aid, athletics, scholarships, and vibrant student life are among the highlights of FNU. With two main campus locations and a training center in South Florida, FNU can be the stepping stone you need to future-proof your career. For more information about A.A. degrees and everything FNU has to offer, contact our admissions department today.